Orthodoxy by G.K. Chesterton is a piercing little book that punches far above its weight. In 140 pages, he attempts to define the right faith of Christianity: that is, orthodoxy. It’s a difficult task, but Chesterton proves that he is well-equipped to tackle it, as he presents a compelling picture for Christianity. This was my first exposure to Chesterton other than a short play, so I opened this book cautiously. Though I’ve heard his name, not just anyone can write a book on Christian doctrine. But I was pleasantly surprised by Orthodoxy. Before you close the review because ‘theology books aren’t for me,’ give Chesterton a bit of a chance. He himself describes the book as “…not an ecclesiastical treatise but a sort of slovenly autobiography.” Though the writing style may be a little archaic, the book is very personal, easy to follow, and even entertaining. Because Orthodoxy is tied to Chesterton himself, the book and the ideas inside really ring true. Orthodoxy is divided into two halves: in the first, Chesterton unravels some of the predominant theories of the day; and in the second, moves to explaining Christianity itself. Chesterton takes us through his own personal experiences, not only debunking current beliefs against Christianity but the beliefs that he once held and was convinced away from. I felt, after reading this book, that if I saw this fellow at a party I would feel able to call him Gilbert, rather than Mr. Chesterton. This sort of simple explanation fills the entire book. Orthodoxy is not a doctrinal book because it explains Christian beliefs about the Holy Spirit or the Trinity or infant baptism; rather, Chesterton handles the broader strokes, such as the existence of an orderly universe and a Creator, or morality and how it should be applied in society. 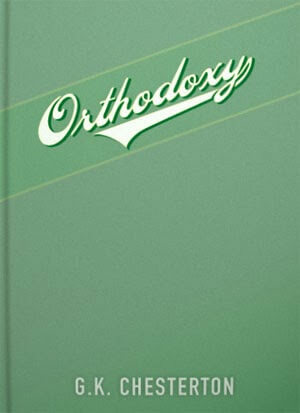 Orthodoxy is a very practical book. Chesterton’s entire book rings out truth in simple and clear tones. Orthodoxy has not only increased my own faith and assurance, but also equipped me to intelligently and more powerfully discuss the faith that I follow. I highly recommend this book — it is well worth the time invested. 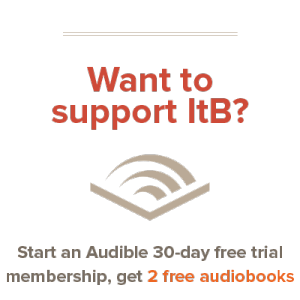 Even better, it’s free to download! Yes. It’s a classic, for sure. Yeah, I was recommended it over Christmas break — time well spent!